If Spain could talk, its love language would be food. A beautiful country that spoke sweet nothings, not to my ears but to my palette. A country known for its zesty and bold flavors and a culinary hotspot. I have never been to Spain, a top destination I hope to travel to sooner than later. 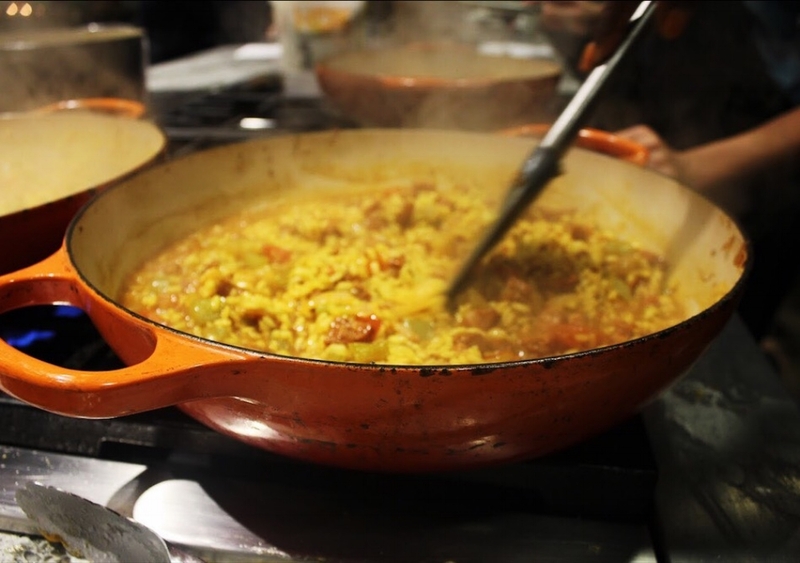 Thanks to an invite from The Chopping Block, I was teleported to a night in Spain through an intimate group cooking class at the Merchandise Mart instructed by Chef Guillermo Delavault. 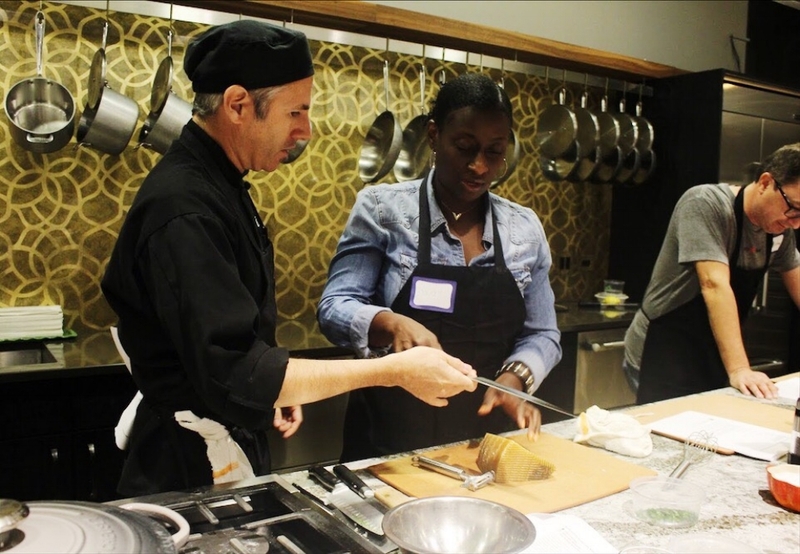 The Chopping Block is Chicago’s premier school for home cooks, offering intimate interactive cooking classes daily in their state-of-the-art kitchens at their Merchandise Mart and Lincoln Square locations. Chef Guillermo, an Argentinian native from Buenos Aires and master of culinary arts from his training and education from Escola Superior d’Hostaleria de Barcelona, handed out our set menu for the night. Lights were dimmed, candles were lit, utensils spread across cooking boards in front of us, and red wine poured into glasses. I was ready to pay homage to Spain by cooking classic Spanish cuisine and learning the cultural significance behind each dish. The oven was preheated at 350 degrees, prepped perfectly for the flan. In groups of 3-5, Chef Guillermo instructed us from beginning to end for each course. From infusing the custard base with half and half milk and vanilla bean pulp - to making homemade caramel from scratch -and into the oven, it was incredible seeing everything come to life. 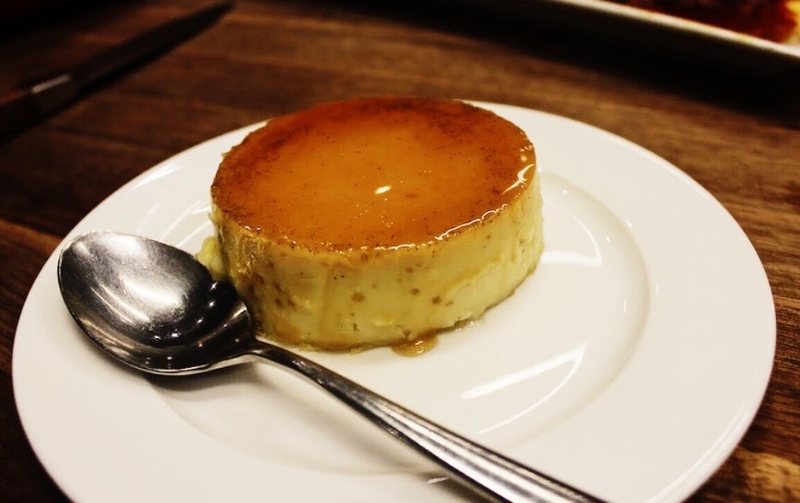 Honestly, flan is not my favorite type of dessert due to its gelatinous texture - and I’m all about texture. But the overall flavor, wow. The smoky tones of the vanilla bean and melted caramel perfected the taste of the sweet concoction. Four cups of arugula, 2 oranges cut into segments, 2 tablespoons of capers, 1/3 cup sliced toasted almonds, and 1/2 cup of shaved manchego cheese were key ingredients tossed and blended with a light drizzle of homemade vinaigrette. With group effort, we made the perfect appetizer to go with our Spanish course for the evening. After taking a couple slices of the manchego cheese I grated as a topping for the salad, I then realized that this is not just a cooking class, but an initiation into Spanish culture. An experience. We transitioned from the arugula salad to making seafood paella with shrimp and mussels. Chef Guillermo shared a brief history behind the traditional Bomba rice used in Spanish paella (not Jasmine rice, not Basmati rice) keeping the tradition at its core. If you’re unable to get Bomba rice, Chef Guillermo suggested Arborio (an italian rice) which is easier to get and what we used in class. I took a moment to appreciate my surroundings. From the pots hanging behind me, to the fresh scents of shrimps and chorizo sizzling on the grill, to the saffron, garlic and paprika adding a natural potpourri into the air. In that moment, I pictured myself being in the heart of Spain, walking down cobblestone streets, and smelling flavors of freshly made paella from local eateries. I instantly felt immersed into Spanish culture; without physically being there. Chef Guillermo took our paellas out of the oven. We were ready to eat! Each group placed their finished courses on four separate wooden tables, decorated with small white candles and shared plates to add ambiance. The Sautéed Strip Steaks with Romesco Compound Butter was the last dish we needed to make before digging in. My hands were sticky from the lemon zest, garlic, room temperature butter and parsley - a few of the ingredients we used to make the compound butter. The sizzles from the grill cooking the steaks overpowered my stomach growls. I was ready to enjoy the meal. A meal each group worked so hard together to create something beautiful from kitchen to table. The Chopping Block’s motto is to “Get the Country to Cook” and A Night In Spain did just that. This was my first culinary cooking experience and definitely not my last. For more information about The Chopping Block and their upcoming classes, check them out here. Their October calendar is now open. *THE CHOPPING BLOCK PROVIDED ALL SERVICES COMPLIMENTARY. ALL OPINIONS ARE MY OWN.